I have a confession to make. I don’t own a sifter. While it’s entirely possible you don’t either, for someone who bakes as much as I do, it’s pretty surprising. It’s a relatively inexpensive item and sifting is often required for recipes. So what’s the deal? 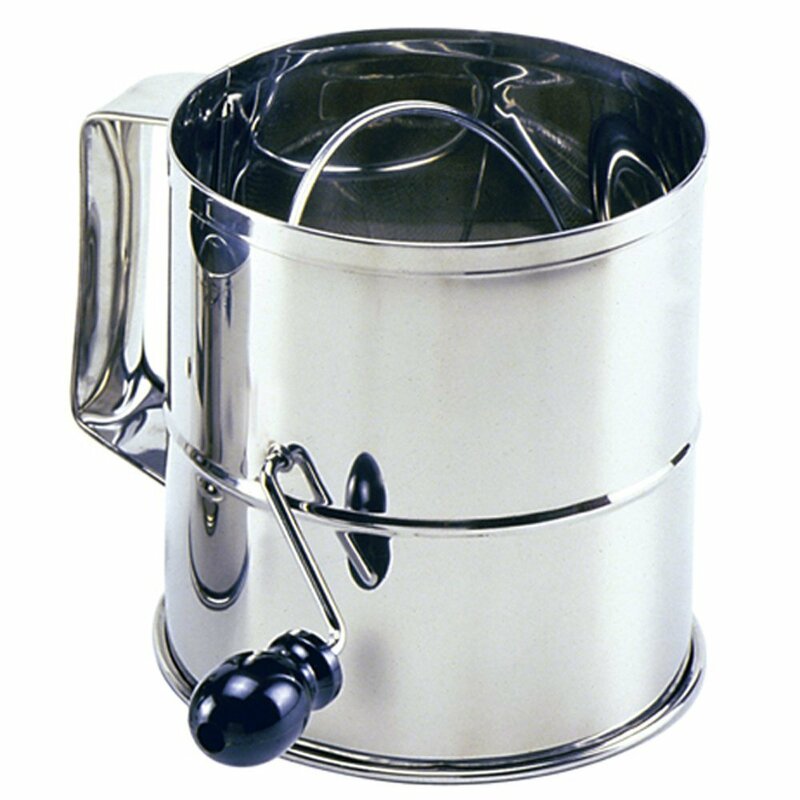 Sifting is defined as “put (a fine, loose, or powdery substance) through a sieve so as to remove lumps or large particles.” A sifter, for those of you who don’t have one either, is looks a bit like a large tin can with a handle on the outside, and has a mesh filter on the inside. There is some sort of mechanism to move the flour around, such as a crank, or a spring loaded device, serving to aerate the ingredients and propel them through the mesh filter. If you are caught without a sifter when baking, simply place a mesh strainer over a mixing bowl and place the required ingredients into it, ( usually flour, and sometimes salt or a leavening agent, such as baking powder or soda) and whisk until it all passes through the sieve and into the bowl. Nothing extra to store, or clean. That works for me! This entry was posted on January 6, 2015 at 6:58 am and is filed under Food. You can follow any responses to this entry through the RSS 2.0 feed. You can leave a response, or trackback from your own site.